Home > Understanding The Pros And Cons Of Digital Gift Cards – Which Gift Card Is Right For You? Understanding The Pros And Cons Of Digital Gift Cards – Which Gift Card Is Right For You? If you’ve been paying attention to the gift card industry as of late, you’re probably familiar with the meteoric rise of digital gift card sales. It’s hard to overemphasize the increasing popularity of digital gift cards – currently, they represent around 10% of the overall gift card market, but are growing at an incredible 200% rate, year-by-year! When you compare this to the growth of physical gift cards – a steady 6% – you begin to get the picture of how popular digital gift cards are. So why are digital gift cards becoming so popular? Well, digital gift cards have been around for quite a while. In fact, companies like the (now-defunct) 800giftcertificate.com began to sell gift cards that were digital as early as 2001. But the growth of digital gift cards was always restricted by the technology available at the time – these gift cards usually had to be printed out, and QR codes were not common in the early days of digital gift cards. This meant that digital gift cards often had to be entered manually at registers – making them very inconvenient for both retailers and customers. Because of this, digital gift cards were relatively uncommon in the early – and even late – 2000s. Retailers didn’t want to sell gift cards that took a long time to redeem, and consumers didn’t trust them. So what changed? In a word – smartphones. Smartphones and the constantly-connected digital age has created a true revolution in the world of digital gift cards. Now, customers can purchase, redeem, and use digital gift cards directly from their phones. And because most people carry their phones everywhere, it’s easier than ever to use digital gift cards, and retailers can sell gift cards online – anywhere! Digital gift cards are especially popular among younger people. Millennials are far more likely to purchase digital gift cards than older generations. While this gap is narrowing due to widespread adoption of smartphones and similar technologies, younger people are still much more likely to purchase digital gift cards. But what are the benefits – and drawbacks – of using digital gift cards? We’re glad you asked! We’ve put together this post to help you understand both the pros and cons of digital gift cards. Read on, and learn more about these unique products! Compared to physical gift cards, digital gift cards have a variety of advantages for consumers. Let’s take a look at the pros of digital gift cards now. Available in almost any amount – Most physical gift cards are preloaded with a specific amount – $10, $25, $50, and so on. While some retailers sell gift cards that can be set to a specific amount, this is relatively uncommon for physical gift cards.Digital gift cards, on the other hand, can usually be purchased in almost any amount. This provides consumers with increased flexibility. Whether you’re looking to buy a high-value gift card, or just choose a smaller, more convenient amount, you’ll be able to choose just about any value for your digital gift card. Convenient to purchase – If you’re looking for a particular physical gift card, you’ll either have to go to the retailer that sells the card, or to a “Gift Card Mall” kiosk at your local grocery store or superstore. And if you don’t have a store that sells that gift card near you, you’re out of luck. This provides digital gift cards with a clear advantage. If you have an internet connection, you can buy a gift card to almost any retailer or restaurant that sells gift cards, providing you with increased convenience, and a simple way to purchase gift cards from just about any store. Instant delivery worldwide – Digital gift cards are usually sent directly to the recipient via SMS, email, or even specialized gifting apps, for some retailers. This provides instant, immediate delivery – making digital gift cards a great choice if you’re giving a gift to someone who doesn’t live near you. Lower risk of scams – Because the information on digital gift cards is generated at the time of purchase and sent directly to you or the recipient, you’re much less likely to be the victim of popular gift card scams, such as gift card skimming. Most digital gift cards are “omnichannel” – While there are exceptions, most digital gift cards function just like physical gift cards, and can be spent either in-store or online. This makes them easy to redeem for both online purchases and brick-and-mortar purchases. Combined with instant delivery methods, they’re even more convenient than physical gift cards! Nearly impossible to lose – One of the biggest benefits of digital gift cards is that they’re almost impossible to lose. When you receive or send a digital gift card, you’ll get a confirmation of your purchase sent directly to your email, and this information can be used to retrieve the balance of your gift card. Contrasted with physical gift cards, this is a huge advantage. Stores that sell gift cards usually won’t issue a replacement gift card – and even if they do, they may require proofs of purchase, receipts, and other information that you might not have. Because digital gift cards are nearly impossible to lose, they offer a clear advantage over physical cards. 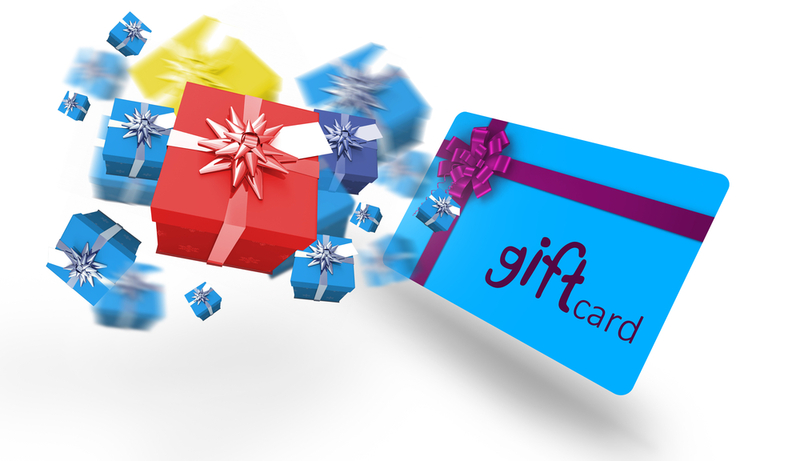 Your gift cards are always with you – Have you ever gone to a store to make a purchase, but forgotten your gift card? This is a common occurrence – most people simply don’t carry all of their gift cards at once, because they take up too much space in their wallets or purses. But with digital gift cards, you can always have all of your gift cards at all times – with no worries about accidentally leaving a gift card behind. This makes it easier to use your gift cards, and increases the convenience of redeeming their value. These are just a few of the benefits of digital gift cards – and because of these reasons, the adoption of digital gift cards is rapidly increasing. More stores than ever sell gift cards that are digitally-based, and their popularity is continuing to rise. Despite the benefits of digital gift cards, they’re not perfect for everyone, or for every situation. Let’s take a look at some of the disadvantages of these gift cards now, in order to give you a complete picture of both their advantages – and their drawbacks. Some people are uncomfortable using digital gift cards – The simple truth is that digital gift cards are still a relatively new technology, compared to physical gift cards. Everyone knows how to use a physical gift card – you swipe it, pay for your items, and you’re done! However, the redemption process of digital gift cards is still not consistent. Some require you to print them out, some use phone-based QR codes, and others are only available on apps like Android Pay and Apple Pay. Because of this, some people just don’t understand how to use digital gift cards in person, and may get confused when trying to redeem a digital gift card. Can’t be refunded – It’s nearly impossible to get a refund on a digital gift card, once it’s been redeemed. This means you should pick the gift cards that you buy very carefully, and be quite certain that you’ve made the right gift choice. Can be sent to wrong email address – When buying an e-gift card, it’s critical to ensure that you’re sending it to the right address. 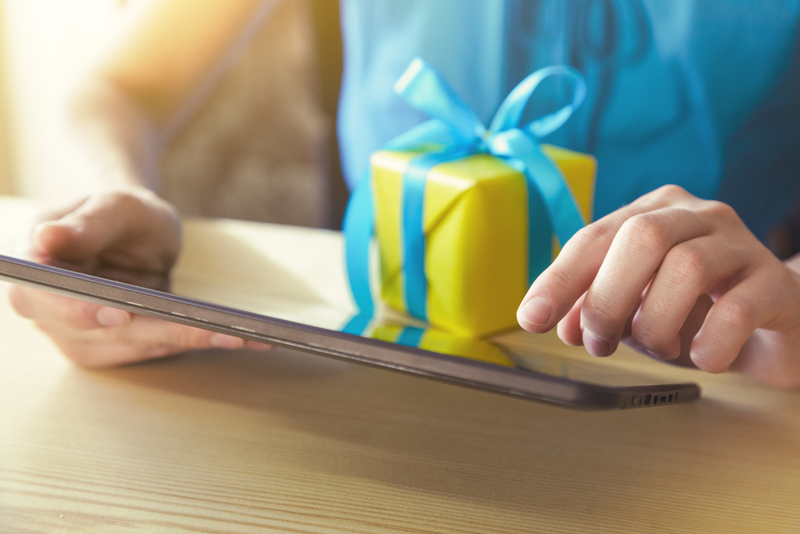 Most retailers who sell gift cards digitally consider the transaction complete when delivery is confirmed – even if the email address is wrong. While some companies will offer to resend the information, there’s no requirement to do so. So double-check and ensure that you’re sending your digital gift card to a valid, accessible email address – or else you may lose out on its value. Less “presentable” than a traditional gift card – This may seem a bit silly, but it’s an important consideration. Unlike a traditional gift card, you can’t box up a digital gift card in a nice box, or present it to someone like you would a traditional present. Sure, you could print out the information on the card and put it in a box – but it’s still not quite the same. And while most people will be just fine receiving a digital gift card, it’s still a good idea to consider the personal preferences of the recipient before making a purchasing decision. Not all digital gift cards can be spent in-person – While this is rare nowadays, there are still companies that distinguish between gift cards purchased online, and gift cards that are purchased in a retail store. Some retailers only allow digital gift cards to be used online – and they can’t be redeemed in stores. So when purchasing a digital gift card, make sure to read the fine print, and be certain that the gift card can be spent both in-person, and online. Otherwise, the recipient could be in for a surprise when they try to redeem their card in person, and are told that their card can only be spent online. May be hard for some people to keep track of digital gift cards – Advanced technology like smartphones has made it quite a bit easier to keep track of your digital gift card balances, but some people are still used to using physical gift cards. This means they may have issues remembering what stores they have digital gift cards for, and they may not know what balance remains on each individual card. Physical gift cards, on the other hand, offer a clear reminder. You see the gift card, and remember that you haven’t spent it – so you pick it up, check the balance, and go to the store. Without this physical reminder, the recipient of a digital gift card may waste their gift card balance, or be unable to spend the value of the entire card. While most of these drawbacks can be mitigated or eliminated by purchasing digital gift cards wisely, and using smart gift card management techniques, they should still be considered when you’re thinking about what kind of gift card you would like to purchase. The verdict for digital gift cards is clear – though there are some disadvantages to using them, these are growing smaller by the day as advanced technology makes it easier to buy, use, and redeem digital gift cards. We’re likely to continue to see massive growth in this industry during 2017 and beyond, as more retailers and restaurants realize the benefits of selling gift cards online, and on mobile applications. So whether you prefer digital or physical gift cards, digital cards are here to stay, and both retailers and consumers need to take notice. And if you’ve got gift cards you don’t need – whether they’re physical or digital – you can always sell them at EJ Gift Cards! We specialize in purchasing unused gift cards from consumers, and we pay out in cash through PayPal! Selling your gift card with us couldn’t be simpler. Just log onto EJ Gift Cards, check out our list of accepted cards, and enter your information! We’ll offer you a (reversible) quote for the value of your card. Then, if you like what you see, enter your payment details! We pay through PayPal, so your money will be totally secure – no waiting for a check in the mail! We offer competitive rates for all major gift cards, and our customer service team is always standing by in case you have any issues. So don’t let your unused gift cards sit around collecting dust. Sell them for cash with EJ Gift Cards today!